If you're looking for the perfect gift for the fisherman in your life, check out this Fishing Indoor & Outdoor MatMates Welcome Mat. This mat was created with a recycled rubber back that is environmentally friendly for the eco-conscious homeowner. As the rubber back is slip resistant on most floor surfaces, you can display your mat almost anywhere; including your kitchen, bathroom, living room, den and many other places. Pair your mat with our outdoor tray or indoor tray for additional style. Created with a dye sublimation technique that is fade and stain resistant. This Welcome doormat is 18" x 30" when used as a stand-alone mat. MatMates are a registered trademark of Magnet Works, Ltd. 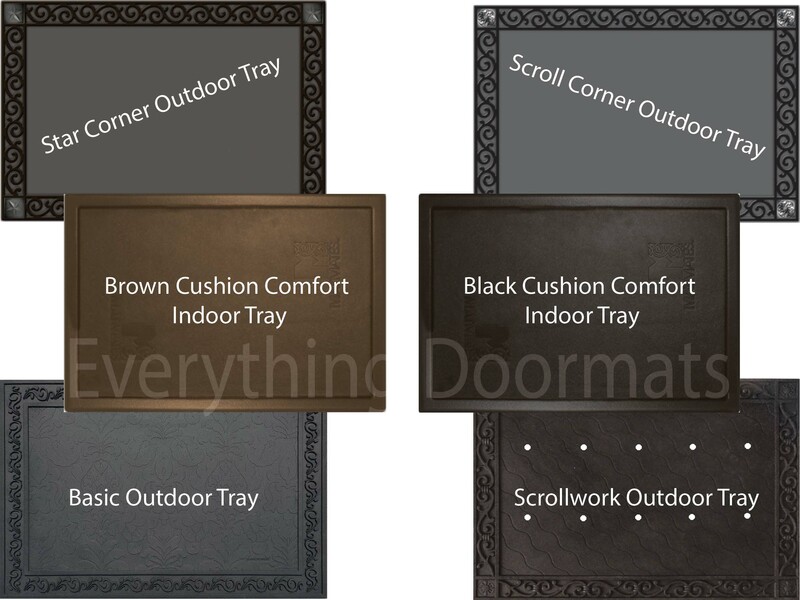 Note: The Fishing Floor Mat is pictured in our Scroll Corner Outdoor Tray. The outdoor trays and cushion comfort trays are sold separately.